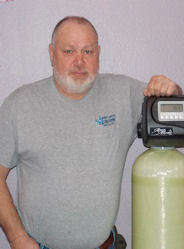 Steve Bogatz, owner of Bogatz Water Conditioning, has been in the water conditioning business for 30+ years! His mission is to help solve water quality issues in homes, business and commercial applications by providing sales, service and installation of household, commercial and industrial applications of water softeners, rentals of water softeners, reverse osmosis systems and whole house treatments. If you have a bad odor, lime build-up, rust staining, slow running water related to build up in your pipes…We have the knowledge and equipment to fix your problem! We even come to you to provide a Free Water Analysis with no obligation, plus we can also provide salt delivery and schedule you for filter changes. Along with water conditioning, Steve handles plumbing repair services. If you are experiencing leaky faucets, sinks, toilets, or are doing a remodel on your bathroom or kitchen, give us a call to see how we can help with your plumbing needs! Locally owned and operated out of Yankton, South Dakota, if you need service after the sale, count on Steve to be there when you need him! ARE YOU RENTING AN OLD OBSOLETE WATER SOFTENER, WASTING SALT, WATER AND MONEY? Call Steve Bogatz at 605-760-7324 to see how you can save money on a new, on demand water softener. Bad water is bad for you, but safe water is key to life — and good for you! Water is a molecule called H2O that contains two atoms of hydrogen and one atom of oxygen. It’s a transparent, odorless liquid that you can find in lakes, rivers and oceans. It falls from the sky as rain or snow. Water problems can usually be found when your water is red, orange, brown, or cloudy. That can signal iron, rust, or other contaminants in the plumbing. 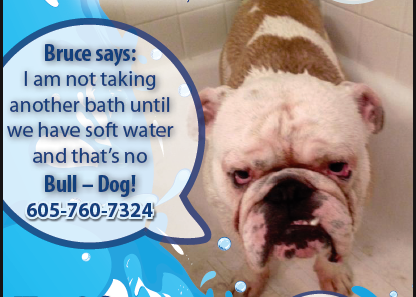 You may also experience foul-smelling or bad-tasting water which would be signs of impurities in your water. Finding the answer to water problems can be trying and very stressful. BUT…it doesn’t have to be! Let Steve at Bogatz Water Conditioning help you find the answer and install the solution. With over 30 years of working in this industry, Steve is the one to call! Bogatz Water Conditioning is proud to serve clients throughout Southeast South Dakota, Nebraska and the surrounding areas!